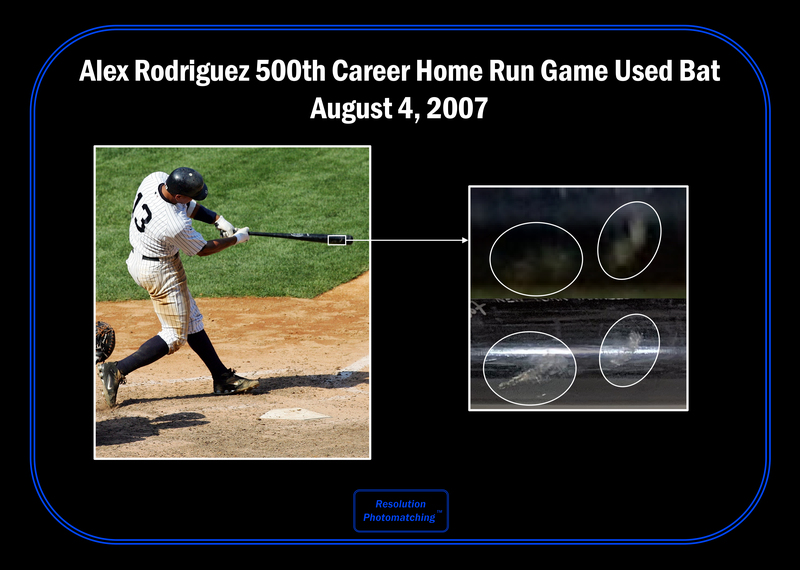 Alex Rodriguez became a baseball immortal on August 4th, 2007 when the New York Yankees third baseman slugged the 500th home run of his legendary career. 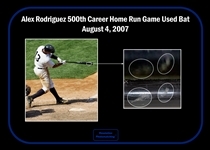 Rodriguez reached the 500 home run milestone in the midst of his third American League MVP season, finishing the year with 54 longballs, 156 RBI, and 143 runs scored, leading baseball in all three categories. It was Rodriguez’s 36th home run of the year that elevated the former number one overall draft pick to the elite 500 Home Run Club. 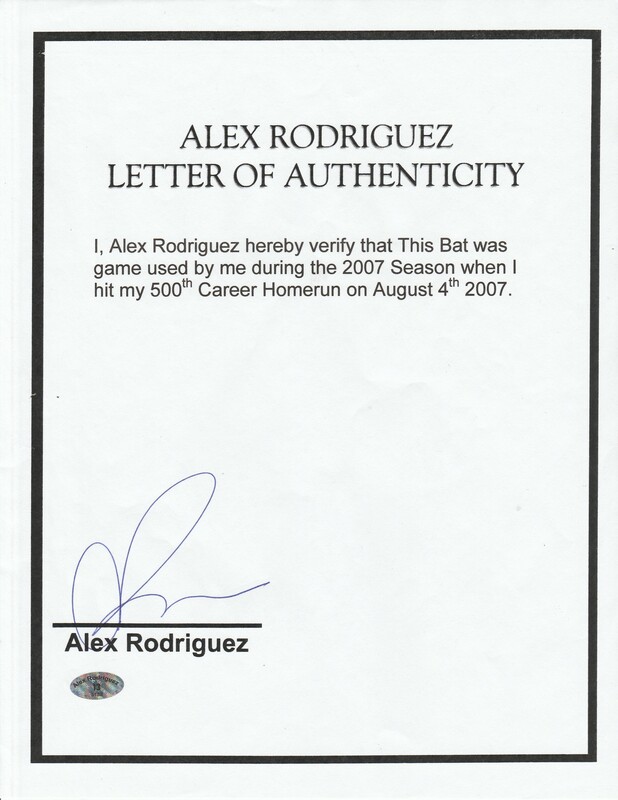 Rodriguez and the Yankees faced off against the Kansas City Royals at Yankee Stadium as Rodriguez sat on number 499. Rodriguez came to bat against Kyle Davies in the first inning, with Derek Jeter and Bobby Abreu already on base, primed and ready to swing. 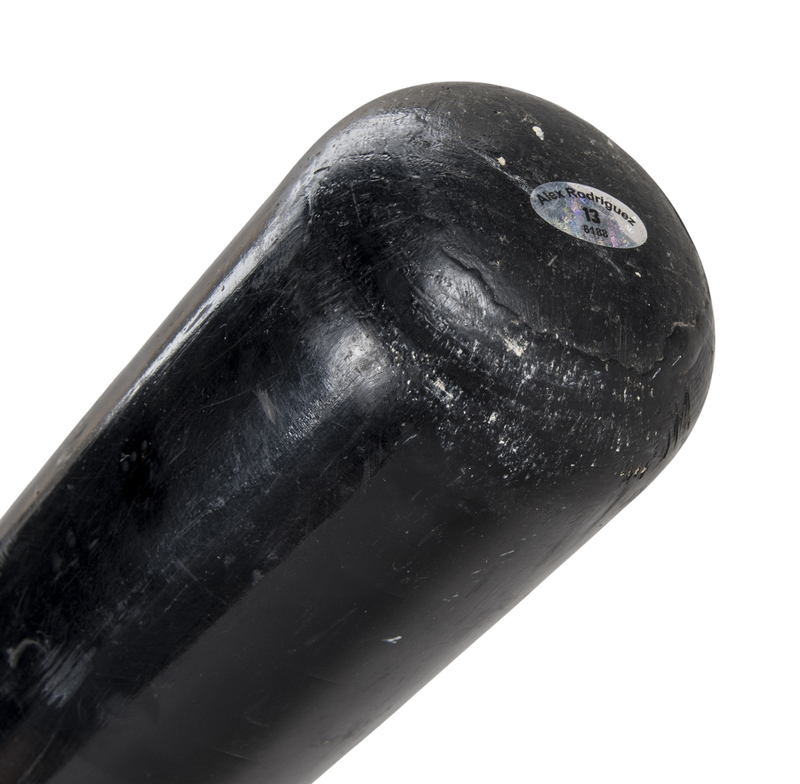 On the opening pitch of the at bat, Rodriguez jumped on a pitch down the middle with his trademark right-handed swing, depositing the ball into the left field seats. 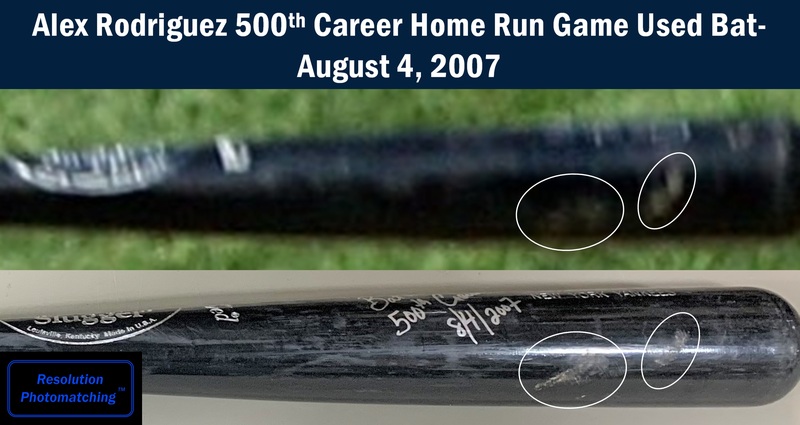 Rodriguez and Jeter shared a hug at home plate after scoring, and the Yankee dugout emptied onto the field to properly congratulate the newly-minted member of the 500 Home Run Club. 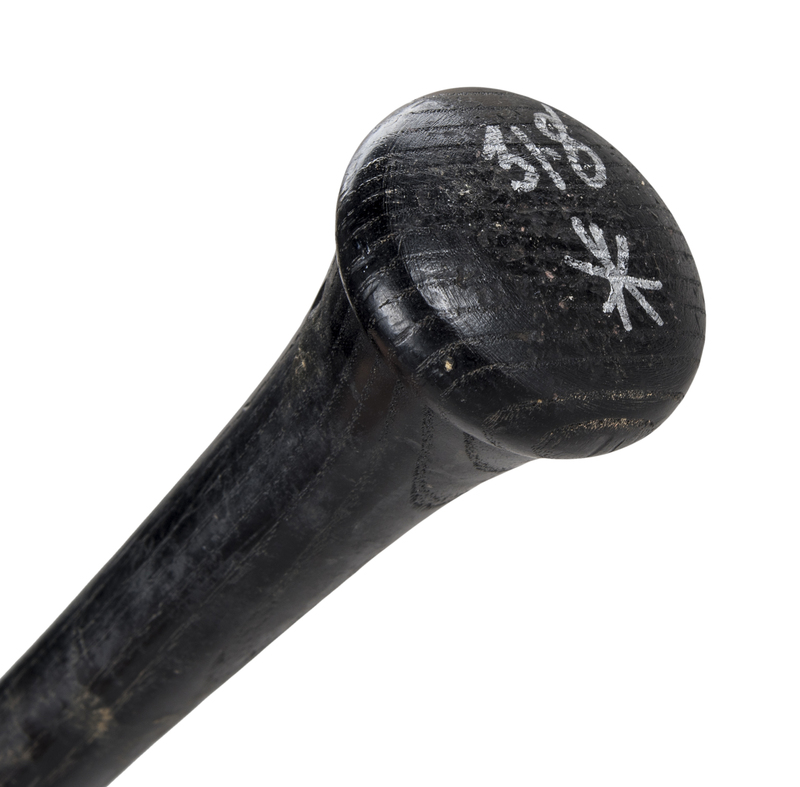 This is the very bat A-Rod used to send that historic ball into the left field seats, joining the exclusive club. 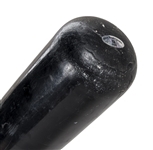 This Louisville Slugger C271L model bat displays outstanding game use and is un-cracked. There are ball marks, bat rack streaks and cleat imprints present on the barrel. Handwritten on the knob in silver is “318 *”. 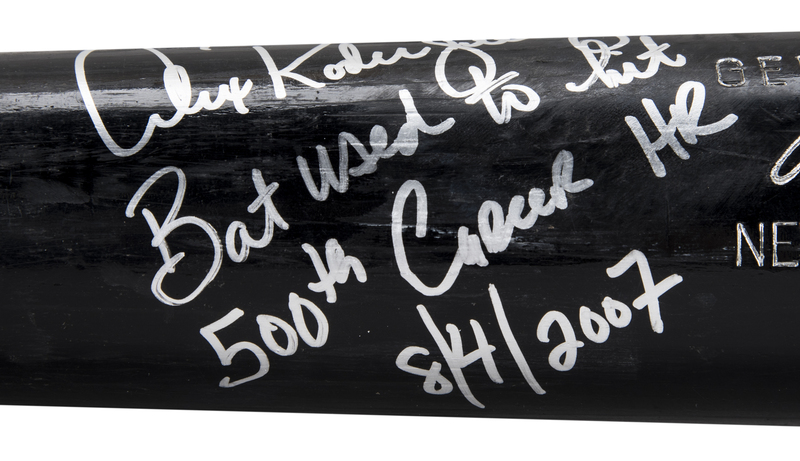 A-Rod has signed this historic bat in silver marker across the barrel and added the inscriptions “Bat used to hit 500th Career HR” and “8/4/2007”. 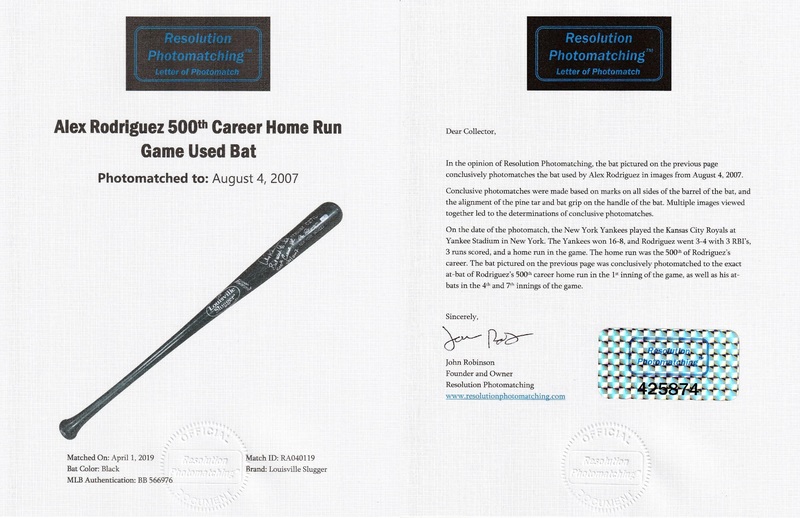 This is a true milestone gamer from one of baseball’s most dominant players and it comes with a MLB Authenticated hologram (BB566976), who have authenticated this bat to Alex Rodriguez’s 500-home run game and specifically his 500th career home run on August 4th, 2007. 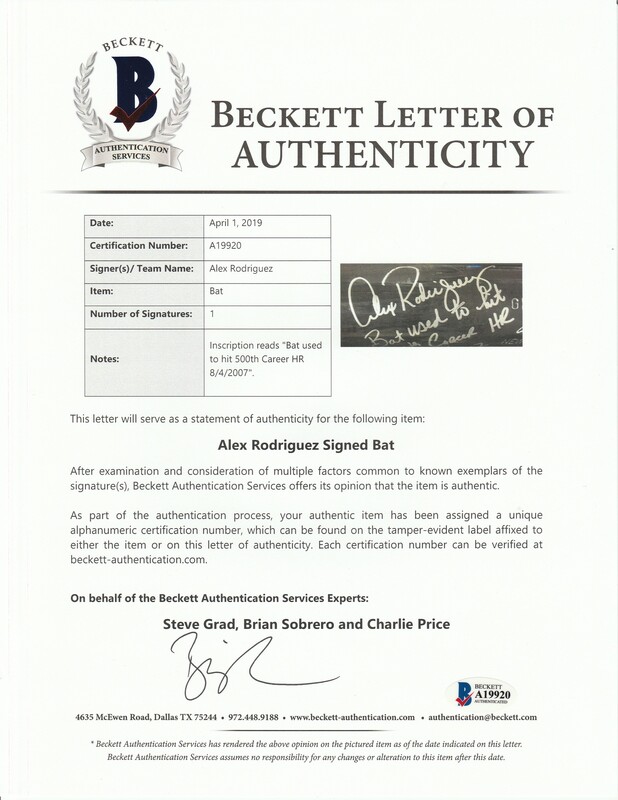 There is also a LOA from Alex Rodriguez with “Alex Rodriguez 13” holograms on the top barrel and the LOA with the ID #6188. 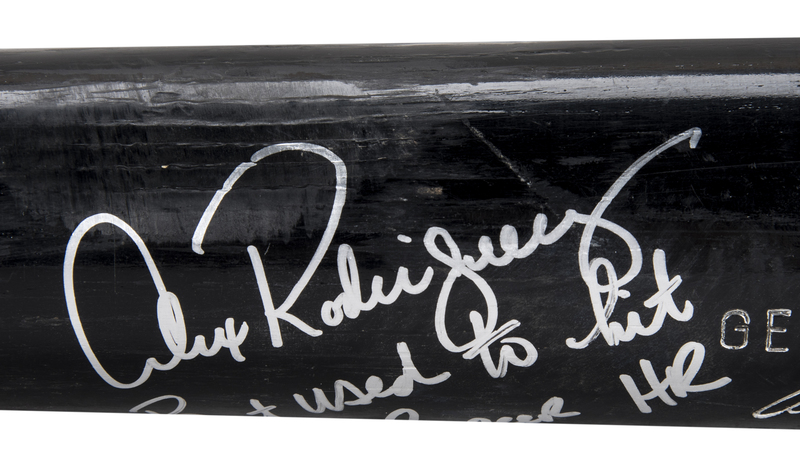 This bat has been photo matched by Resolution Photomatching to Rodriguez's 500th home run and there is also a LOA from Steve Grad of Beckett Authentication for the signature and inscriptions and accompanying this lot are photographs of Rodriguez signing and inscribing this bat.